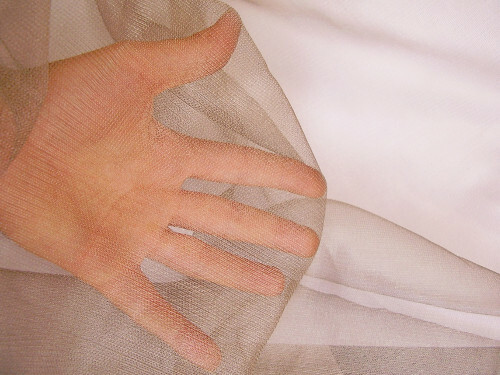 Extremely light and transparent conductive fabric, TRASTA07 weights only 160 g per sq.m. It allows air flow. It is very drapable, easy to cut with scissors, it can be sewn with a standard sewing machine or soldered with a soldering iron.